He already had a man named Von Gottschalk traveling America to find the perfect place. 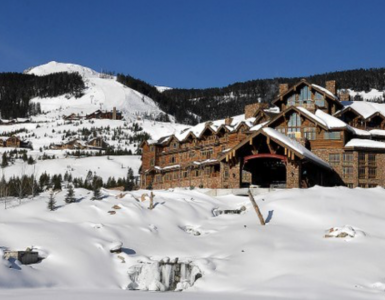 Averill said, “It only has to be on the railroad line.” But Von Gottschalk said the resort also could not be near a large city because of potential weekend crowding and it had to be lower than 6,000 feet above sea level because of potential pulmonary and cardiac problems. Ketchum, Idaho, a remote mining and sheep town with a railroad to it, fit that criteria. The rope tow had been invented in 1933, I believe, but Averill felt that his guests would not travel half way across America to hang onto a wet rope to be hauled up the hill. Two days later Jim had built a scaffold on the back of a pickup truck and hung a chair on it. 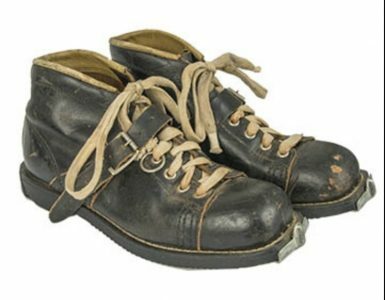 Olympic ski racer, Charlie Proctor, had phoned a friend to bring his skis and poles and be the experimental guy to be scooped up by the dangling chair, for whatever reason, his friend wore all of his heavy wool ski clothes for the inauguration ride that lasted two days. At first he stood on straw and it was decided after half a dozen pickups from the straw that it did not have the same slippery-ness as snow did. At lunch it was discussed that maybe if they added a little bit of oil to the straw it, might work better. They tried six different weights and types of oil and all they did was ruin the skier’s wool pants. Then they tried another kind of oil and hay. None of it ever worked as well as snow. Because it was 96 degrees out, they didn’t try to shave ice and use that. The next morning, the sweating guinea pig in wool ski clothes and now wearing roller skates was finally able to say “These roller skates are great. They move freely. I think you guys are as close to the sliding of skis.” Now all they had to do was to figure out how fast to drive the skier-picking-up-pickup truck. After at least twenty pickups a speed was decided on that was fast but not so fast that the speeding chair did not hurt the back of the legs of the skier. Now that the speed and method of pickup was decided the rest was simple. Where would there build it at Ketchum? How big would the cable have to be? How would they get the cable up the hill? Stuff like that. 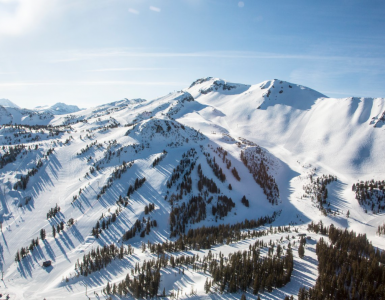 Where to build it in Ketchum was easily decided when Steve Hannagan changed the name of the resort from Ketchum to Sun Valley. This new machine had to be designed, built, moved to Idaho, installed and running by the week before Christmas when all of Averill’s friends would be arriving. There were no bulldozers in those days that were strong enough to haul the cable up the hill so they rounded up about thirty pack mules and put two or three coils of the cable on each one of them and marched them up the side of Dollar Mountain one behind the other. The railroad engineers designed the bull wheels, lift towers, everything necessary to make this new machine work and work safely. The railroad engineers had the new-fangled chairlift up and running on time in only four and a half months. Today it would take that many years just to get the permits to dig the holes for the footings but the speed of the chair is the same speed that a fixed grip chairlift runs today! There was only one problem. The snow did not arrive in Sun Valley in time for the opening for guests. It arrived on February 2nd and it was announced that anyone who had come up for Christmas could stay until the snow came to Dollar and room and board was on the Union Pacific Railroad. The lift on Dollar Mountain was followed by one on Proctor Mountain which offered a lot of variety of terrain. However, it only operated until Sun Valley shut down during World War II and became a rest and rehab place for the Navy. Another lift was built on Ruud Mountain to support and service the Nordic jumpers who competed there once a year. The mountain was great but hardly anyone ever used it. There were no facilities there of any kind except very small outhouse for the lift operators. And there were no trees on the mountain so you had to go there prepared with an empty bladder. The Ruud Mountain chairlift did not have any chairs on it. Instead of chairs there was a small piece of wood about sixteen inches long and six or eight inches wide. There was a plastic fabric covering it and it worked for me. However, it had an unusual feature that I have never seen duplicated on any chairlift anywhere in the world. The loading platform, such as it was, was located a magic distance from the first tower so that if you sank into the seat too vigorously it would set up some sort of sympathetic vibration in the cable that would start magnifying in scope until it just plain threw the rider right out of the lift, much to their surprise. 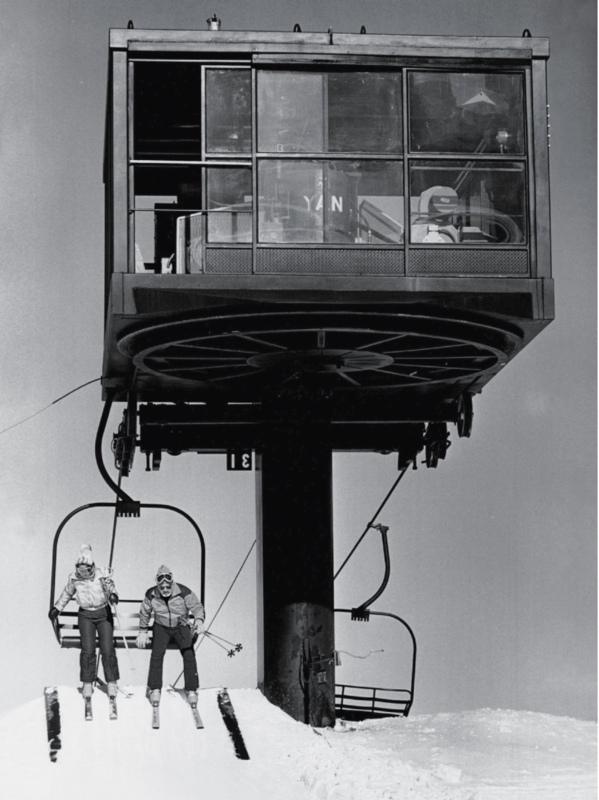 Meanwhile up North in Canada, the ski resort Mont Tremblant Lodge began operation of their first chair lift in 1939. 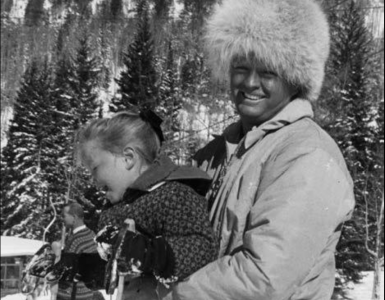 It would be 1941 before the lifts were built on Baldy because of its steep terrain and poor ski equipment. 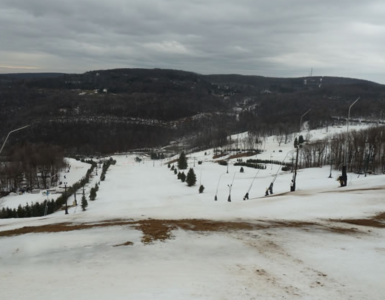 The first winter I skied there in 1947, there were very few runs on the mountain. The three chairlifts hauled 426 people an hour to the top of Baldy. From the top you could ski down College, the Christmas bowl, the ridge and the Rock Garden. There was a long catwalk back from College and from the Round House there was the Canyon and Exhibition and River Run and it was never the least bit crowded. The River Run Chairlift started on the other side of the river and floating over the river when it was very cold, the river was steaming, one of my favorite memories of winter. 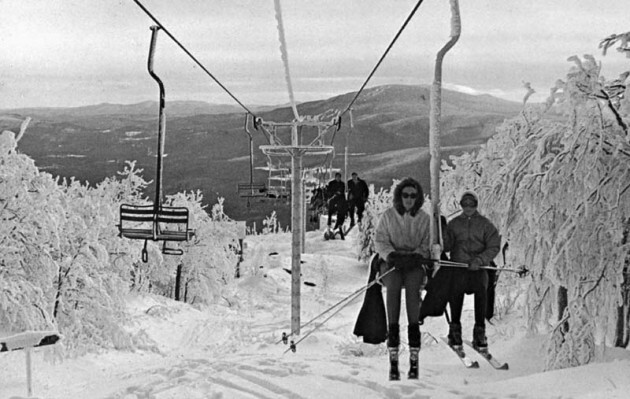 I rode that first-eve, built-in-the-world, chairlift in 1947 there had been less than fifteen other chairlifts built in North America by then. I don’t know about you but Kim Curran changed my life forever and you may never have even heard of him, as the inventor of the chairlift! 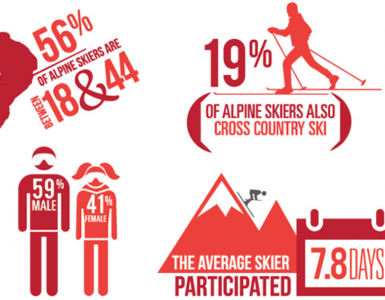 Warren Miller says 42.7 Percent of All Statistics are Made Up on the Spot! All I want from him for Christmas is a strong dose of another decade of good health. I long ago lost count as I traveled from one ski resort to the next. I was always looking for the first snowfall of the season, wherever it might have fallen.